Configure for success. 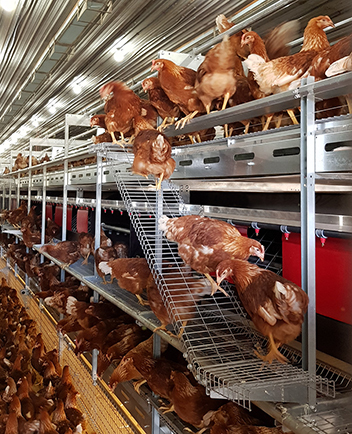 Choose the ideal layout for your facility to optimize your egg production and profitability. The new standard for whole house control. The recently updated Chore-Tronics® 3 Control is the one all others are measured against. Only Chore-Time brings together so many ways to improve poultry production in one easy-to-use controller. Adjust water pressure from the controller using Pneumatic Drinking System (PDS™) technology – a Chore-Time exclusive. Control Chore-Time’s new Sprinkler System automatically for zoned cooling. Run multiple variable-speed fans for more efficient and precise climate control. 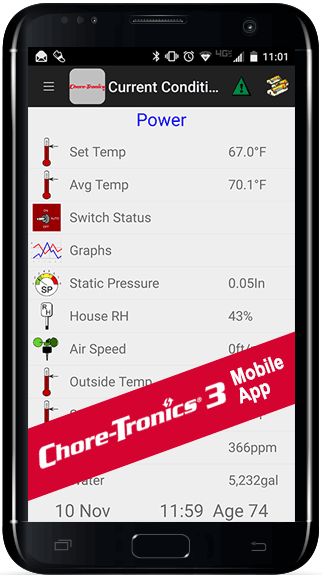 Control your poultry houses from anywhere with the NEW Chore-Tronics® 3 Mobile App. Receive alerts through call or text notifications from the optional Chore-Time Broadcaster™ Alert System. Already have a Chore-Tronics® 2 or 3 Control? Don’t worry. The Chore-Tronics 3 system is modular and upgradeable so you can add new features and capabilities at any time. Contact your local distributor to learn more. Your independent Chore-Time Distributor offers tailored solutions for poultry growing. Chore-Time, A Division of CTB, Inc.
and for various equestrian and industrial applications.